The purpose of the Sea-viewing Wide Field-of-view Sensor (SeaWiFS) is to provide data on microalgae and other suspended substances (so-called bio-optical properties) in ocean waters all over the world. 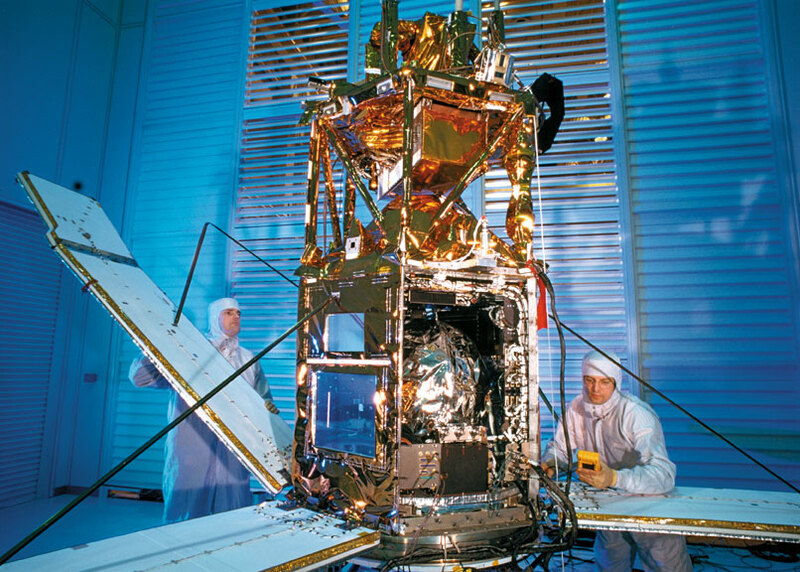 The SeaWiFS instrument is the only scientific payload carried by the OrbView-2 satellite (also called SeaStar). Launched on August 1, 1997, the satellite is commanded and controlled by the commercial satellite imagery company GeoEye. SeaWiFS was launched to low Earth orbit on board an extended Pegasus launch vehicle. See the video of a Pegasus launch and an animation of SeaWiFS daily coverage. The Orbview-2 satellite. Photo: Orbital Sciences Corporation.